India is large and varied, with many languages, cultures, and languages. Crowned by the Himalayas along the northern border, the country stretches down to the Laccadive Sea and the neighboring island nation of Sri Lanka. 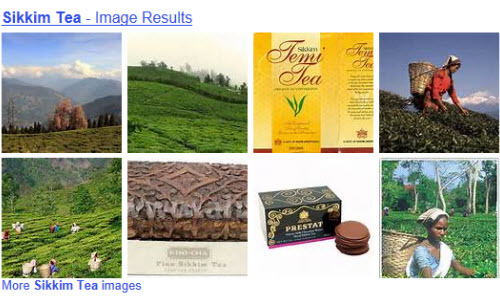 As expected, tea cultivation reaches even to one of the newest states in the country. The state of Sikkim (Shikim, Su Khyim) is part of that mountainous “crown,” nestled in a part of India between the countries of Nepal and Bhutan. Tibet lies just north, and the Indian state of West Bengal is on the south. 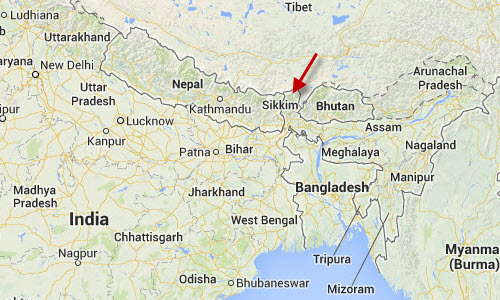 The name “Sikkim” means “new house” in the Limbu language. The culture and scenery make it a great tourist spot, and with a climate that goes from subtropical to high alpine, it has a tremendous diversity of plants. Buddhism was introduced to the people there in the 700s AD by Guru Rinpoche. The Namgyal monarchy was established in 1642, fulfilling a prophecy by Rinpoche, at least according to legend. They endured raids and loss of territory to their Nepalese neighbors (who make up an ethnic majority of the population even now) over the next century and a half until the British stepped in and made them a protectorate. The monarchy was abolished in 1975 when Sikkim became part of India. Most of the economy there is dependent on agriculture, with a number of crops being grown. Sikkim outpaces the rest of India in the production of cardamom, a much prized spice used in dishes ranging from curries to desserts to spiced tea (masala chai). Tea is grown mainly in one garden: the Temi. The garden was started in the mid 1960s as a government project and remains a government owned estate. It employs over 400 skilled workers, covers 500 acres of mostly steep hill sides (1,000-1,200 meters elevation) cut into terraces for the planting, and produces tea that is mostly sold at the Kolkata Auction Centre, commanding premium prices due to their sweet aroma, light liquor and that wonderful muscatel flavor (with a fuller body than Darjeeling teas). Most of this (about 75%) is sold domestically. The best grade produced is the early season STGFOP1. Lesser grades are said to steep up an amber/coppery/golden liquid with a toasty, layered flavor and earthy aroma with hints of biscuit. Start with any of these for a wonderful tea experience. The Imitation Teasmade — Building a Better Mousetrap!